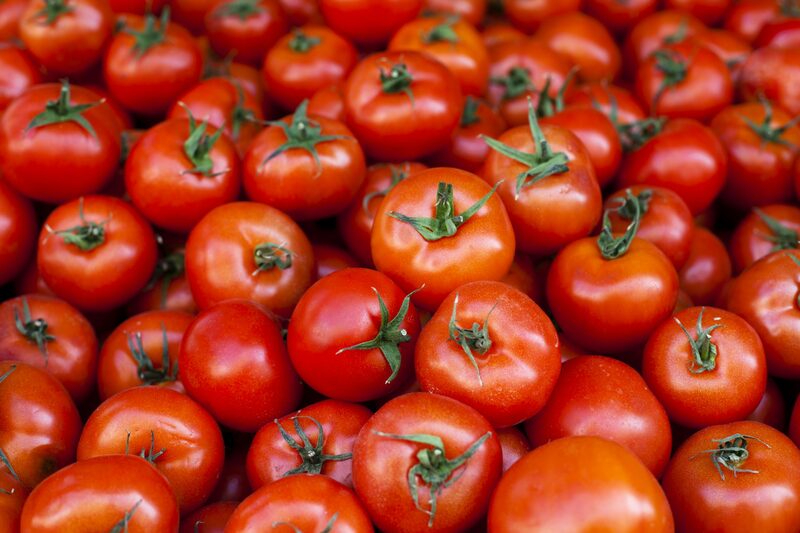 The tomato is almost everyone’s favorite vegetable. Two or three well-managed plants for each member of the family will usually provide plenty of fresh, vine-ripened tomatoes from about late spring until the first frost in the fall. A small backyard tomato project can provide outside recreation for the entire family and, at the same time, serve as an outdoor laboratory for boys and girls interested in biology and science. Tomatoes are especially well adapted for 4-H Club and science projects, as well as for urban backyard garden projects. Set plants in the sun. Select a spot in an open area where the plants will be in full sunlight most of the day (6 to 8 hours minimum). Also, for convenience, try to locate plants near the house and a water supply. However, if you have a choice of planting sites, select the spot in full sun rather than in more convenient locations that are partially shaded. Plant growth and development are more vigorous and disease control much easier on a plant growing in full sunlight. Proper fertilization and good soil preparation are the first steps in successful tomato production. For individual plants, dig a hole 2 feet wide and 12 inches deep. Save the topsoil that was removed from the hole and use it in the growing medium for refilling the hole. 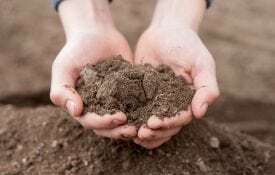 Mix two to three parts of the topsoil and one part of well-decomposed manure or compost; add fertilizer according to soil test recommendations. Thoroughly mix these ingredients to make a uniform growing medium. NOTE: If poultry manure is used, add one part of manure to three or four parts of soil to reduce the possibility of injury to the plants. Hundreds of tomato varieties are available to home gardeners, but many of these have not been tested under local conditions or have performed poorly. Choose varieties that have produced well in tests and have been placed on the recommended list for Alabama. Try other varieties, but on a limited basis at first. Tomatoes are either determinate or indeterminate in their growth habit. Determinate tomato varieties grow to a limited height. At a point in the season the terminal buds will form flowers instead of foliage. The plants will then bear most of their fruit over a 4- to 6-week period, after which little additional fruit will be produced. The terminal buds of indeterminate tomatoes remain vegetative while flowers are produced from lateral buds. Therefore, indeterminate tomatoes have a “vining” habit of growth in that they continue to grow all season long. They will also produce fruit throughout the season, as long as environmental conditions are favorable. Consider growing your own transplants. Many of the varieties listed are adapted to Alabama but might now be readily available as a transplant. Select well-hardened, disease-free plants. Transplants growing in peat pots or plants with a square of soil and undisturbed roots quickly recover after transplanting. Set the plants 18 to 24 inches apart and slightly deeper than they were originally growing. Firm the soil well with your hands, leaving a slight depression around each plant. Fill this depression with water to settle the soil well around the roots. Cut a 2- to 3-inch section out of an empty quart milk carton and place it around the base of the plant. Push it into the soil about 1⁄2 inch to protect the plants from cutworm damage. Mulching helps control weeds and conserves soil moisture. It also reduces diseases by reducing the amount of water splashing onto the bottom leaves of the plants. Spread 4 inches of aged sawdust or 6 to 8 inches of hay, wheat, rye, or pine straw in a circle around the plants after transplanting. Sometimes sawdust may continue to decompose and cause plants to yellow. A light side-dressing of nitrogen will correct this condition. Pine straw and hay will settle as the season progresses. All organic mulches decompose. You will need to add additional material throughout the season. 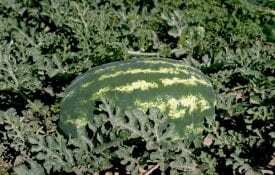 Sprinkle 2 tablespoons of calcium nitrate in an 8-inch circle around the base of each plant after the first fruit is about 11⁄2 inches in diameter. 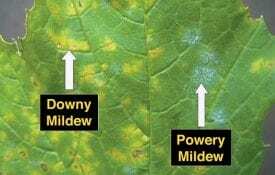 Repeat this application at 2- to 3-week intervals as needed to maintain a modest growth rate.Too much nitrogen before the first fruit is set often results in excessive vine growth and blossom drop. A good, heavy mulch or plastic mulch helps to ensure uniform soil moisture and cuts down on the need for frequent watering of plants. Overhead irrigation (such as with a sprinkler) waters your entire garden—weeds included. Although this is easy to do, overhead irrigation encourages the development of many fungal diseases. With overhead irrigation, you will need to water once or twice a week to ensure that you have adequately saturated the soil in your garden. With sandy soils, more frequent irrigation (three or four times per week) should be done as these soils do not hold soil moisture as well as more clayey soils (twice per week). You should apply about 1 inch of water per week. You can determine how much water your sprinklers put out using a rain gauge. A much better method available to home gardeners is drip irrigation. Drip irrigation is a method of slowly applying water directly to the plant’s root zone. Water is applied frequently, often daily, to maintain favorable soil moisture conditions. Water is applied without wetting the foliage, decreasing disease pressure. In addition, water is distributed more uniformly compared to using a sprinkler. Drip irrigation systems have several other advantages: low flow rates and operating pressures, automatic controls, and precise application of the water and fertilizers needed. The areas between your rows remain dry, reducing weed growth. Many garden supply companies sell kits that contain everything you will need to set up your drip irrigation system. These kits are based on square footage of your garden area. As long as you have properly applied water to your garden, you will maintain uniform production and reduce the incidence of blossom-end rot (BER). Both indeterminate and determinate types of tomatoes need to be supported. Although there are many specific techniques for supporting tomatoes, the two general methods for supporting plants are staking and caging. All flower clusters on a tomato plant usually develop on the same side of the stem. A stake should be placed so that the developing fruit are not crowded between the main stem and the stake. Therefore, do not stake plants until after the first flower cluster is formed. Then drive the stake on the side opposite the flower cluster and about 4 inches away from the base of the plant. Use a strong stake about 1 inch square and 4 to 5 feet long. Drive it 8 to 12 inches into the ground. Make the first tie just above the first flower cluster, using a strong binder twine or strong cloth strips. Use a modified figure-eight tie, looping the string around the plant stem. Cross the ends between the stem and the stake, then pass the ends of the string around the stake and tie them. Do not draw the stem up snugly against the stake. Leave room for the stem to grow without binding. Additional ties should be made above each flower cluster as it develops to support the plant and to keep the fruit off the ground. Plants may be trained to a one- or two-stem system. Remove all shoots or suckers that develop in the axils of the leaves to train a plant to one main stem. To develop a two-stem system, let the first sucker below the first flower cluster develop. This sucker will form the second stem. Remove all other shoots or suckers below this sucker. Remove suckers and shoots once they reach 2 to 4 inches in length. Tomato plants can be surrounded by wire cages. A cage should be sturdy and well anchored to the ground. Concrete reinforcing wire provides good support for tomato plants. A cage should be from 20 to 36 inches in diameter. A length of wire 6 to 9 feet can be used to construct a cage within that size range. In general, a caged tomato plant will produce more but smaller-sized fruit than a staked tomato. Staked tomatoes will usually produce ripe tomatoes earlier in the season than caged tomatoes. Many insect pests attack tomatoes, and complete control recommendations are too lengthy to be given here. (Consult your county Extension office for additional tomato pest management information.) However, the more common insect pests of tomatoes include fruitworms and hornworms, aphids, whiteflies, and stinkbugs. Tomato fruitworms and hornworms may be controlled by sprays of Bacillus thuringiensis (Dipel, Thuricide, others) beginning just after eggs hatch when caterpillars are still small. Insecticidal soaps are effective for control of aphids and whiteflies if sprays are directed to the upper and lower leaf surfaces. Stinkbugs may be controlled, but weekly sprays may be necessary for control. Disease control in the home garden begins by planting disease-resistant (VFN) tomato varieties in well-prepared, properly fertilized soil. Disease development is favored by wet, humid conditions, so keep foliage dry by watering in the morning and using drip irrigation. When using overhead irrigation, watering deeply once or twice a week is better than shallow, frequent watering. Stake and prune plants to increase air circulation within the canopy. Scout your plants often to detect and then identify any potential diseases. If you find a disease and there is a fungicide labeled, it is important to completely cover the foliage to control diseases. Multiple applications are generally required to control most diseases. Poor disease control is probably responsible for more loss in tomato production than all other causes combined. This material is designed to help new gardeners grow tomatoes. The approach given here is not the only way to grow backyard tomatoes successfully. As you gain experience and develop confidence, you will develop your own system. It is not unusual for growers to agree in principle on steps for tomato production yet have widely divergent views on specific production practices.